We understand traumatic injuries often stretch beyond physical burdens to financial burdens as well. One of the starkest realities of life with a spinal cord injury is the staggering expenses with which you'll be saddled. Even if your insurance covers a significant portion of your medical bills, you might find that the providers you like the most are not fully covered, or that alternative treatments such as massage or chiropractic come with no coverage at all. And of course, medical plans don't even begin to touch some of the more unexpected expenses of life with a spinal cord injury: travel and hotels for friends and family, childcare while you or your spouse recovers, endless months of lost wages, a potentially long-term loss of productivity and earning potential, modifications to your home, and innumerable other expenses. Few people can shoulder these costs on their own, but don't despair. 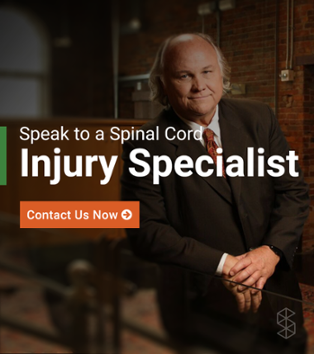 Though spinal cord injuries can be traumatic and life-altering, they also make you aware of programs, assistance, and kindness you might never otherwise have known about. Help is available, but you must be willing to look. You have been the victim of discrimination, such as when an employer or educational institution refuses to work with your disability or won't offer you a “reasonable accommodation” under the Americans With Disabilities Act. You were intentionally injured by someone else, particularly if the injury happened at a business. You were injured due to another person or business's negligence. Keep in mind that negligence is not always readily apparent, and you should always consult a lawyer. A doctor or other medical provider failed to provide you with appropriate medical care, thereby causing or worsening your injuries. Your insurer is refusing to cover your injuries. Click here to download our free eBook with a step-by-step guide for when to get a lawyer after a brain or spinal cord injury. Please note, if you are recieving Supplemental Security Income benefits or Medicaid a successful crowd-sourcing campaign may disqualify you from recieving those bennefits. Before starting a crowd sourcing campaing you should consider how it will impact your other bennefits, for additional information see: Specialneedsanswers.com. If you have an artsy side, consider instead seeking patrons through a site such as Patreon. Patreon and sites like it encourage monthly donations in return for artistic output, such as blog posts, paintings, greeting cards, and other goods. A number of organizations will fundraise on your behalf, or work with you to develop your own fundraiser. One of the best options is Help Hope Live, which offers many of the same benefits as crowd-funding websites, but with personalize help to initiate your campaign. Help Hope Live helps families coping with a spinal cord injury or traumatic brain injury to fundraise in their own communities for medical and related expenses. Families receive one-on-one fundraising support, a customizable online donation page, tax deductible and accountable donations that won’t jeopardize Medicaid coverage, and challenge grants when key fundraising goals are met. You can also go through nontraditional sources. Many schools, charitable organizations, and even workplaces are eager to help people in need by funding auctions, walkathons, sponsorships, art shows, and other community events. If you're involved in a local group that has a history of effective fundraising, consider talking with them about working with them on a fundraising drive. For instance, you might talk to your child's school about doing a walkathon, where the proceeds are split between you and the school. The school gets the benefit of investing in a worthy cause while drawing attention to its own needs, and you get to help both yourself and others. Myriad foundations have the sole goal of helping spinal cord injury survivors and their families. Often, the best place to look is a local organization, since there will be less competition and you may have a personal connection. Begin your search by asking your doctor, therapist, and other experts if they can refer you to any local organizations. Sometimes hospitals, physical therapy centers, and day treatment facilities offer innovative programs. Exhaust all of your other options. Borrow only as much as you can afford to repay, and don't choose a loan with monthly payments that cut severely into your budget. Talk to a financial advisor before pursuing a loan. Select loans with interest rates as low as possible. Read the terms of the loan, and consider having a lawyer read the contract, too, particularly if you are borrowing a large sum. Your bank or credit union may be able to offer you a loan at a favorable rate. Some hospitals also offer loans and credit programs for funding care. Your credit card is also an option, but remember that credit card interest rates are often quite high; consider opening a new account with a low introductory rate to avoid paying excessive fees and interest. You may also want to talk to a financial planner about the possibility of getting out of other debts because of your injuries. In some cases, you might be able to discharge all or a portion of your student loans because of your spinal cord injury. An insurance company cannot refuse to cover you or deny your claim solely on the grounds that your spinal cord injury, or any issue associated with it, is a pre-existing condition. Your insurer cannot charge you a higher rate because of your spinal cord injury. Your insurer must cover not just physical health, but also mental health care. Your insurer must cover the costs of certain well-person visits. These are regular check-ups with your doctor, but likely won't include the specialized care your spinal cord injury demands.